You know the best arrangements come from your local shop that’s dedicated to serving the community with quality and dedication. We know that too which is why we want every local florist to succeed and take home more of their hard-earned cash. That’s why we wanted to put together this list of where you should be doing at a minimum to promote your florist business. Keep in mind this is only a minimum though. If you haven’t done at least this then you’ll see some huge benefits but you can take it further. There are hundreds of business directories out there. Being listed on them helps lend credibility to your business by consumers and search engines too. So, by being listed everywhere consistently you’re going to benefit a whole lot and be seen by a whole lot more customers searching for a florist in your community. Start here and focus on getting some reviews for your Google My Business profile, that’s where you’ll want to start. Once you’re ready to hit the big leagues and reach more customers online, take a look at our business listings management platform or even our 3-step local small business marketing strategy. Now for the good stuff. These are the directories or marketplaces your florist business should absolutely be listed on. They will give you the foundational listings that will get you seen more in your community. There’s a lot more you can do but this is where you should absolutely start today. Because Google is the dominant search engine, it’s also the dominant way of getting local business. That means your priority should always be Google. When you create a Google My Business profile, fill it out completely with a really good description, and get good reviews then you’ll see results. 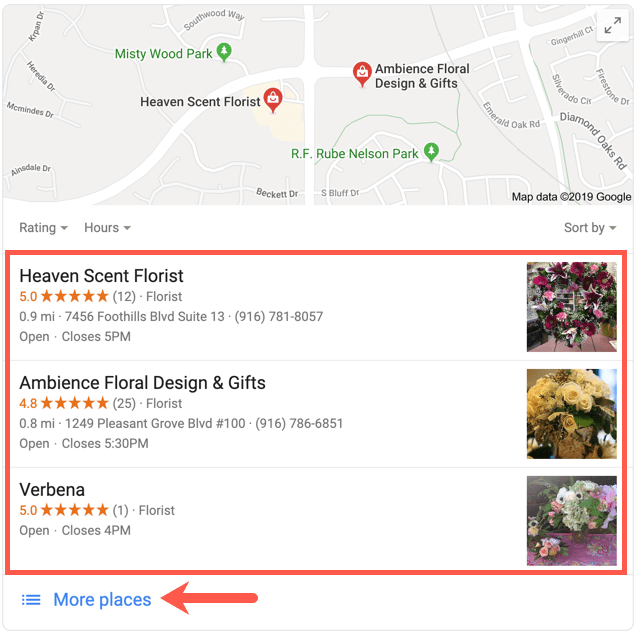 Whether someone searches for a florist in Google, Google Maps, or any other partner app users will see your business in your local area. Take a look below and you’ll see the listings of local florists around me. Do you know the best part about this? The local maps 3-pack (that’s what that thing is called below) has priority placement on the Google search page. It’s located right under the paid ads which of course Google is going to prioritize. It’s a very close second though and gets a good number of clicks to local floritsts. See that arrow that points to more places? Even if you don’t show up in the 3-pack then your business will show up when someone clicks that link. 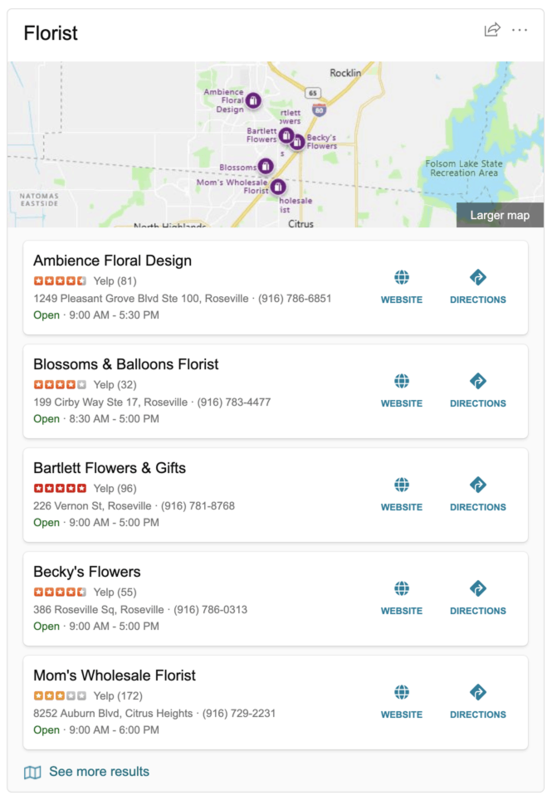 In Google Maps they don’t even have to click through to more places, all local florists are listed on the map view and in the endless scrolling list view too. That means you’ll make it on that list if your profile is complete. Not only will you be seen by people searching for a local florist but your beautiful flower arrangements will show right there for everyone to see. Make sure you put your best foot forward in your pictures! 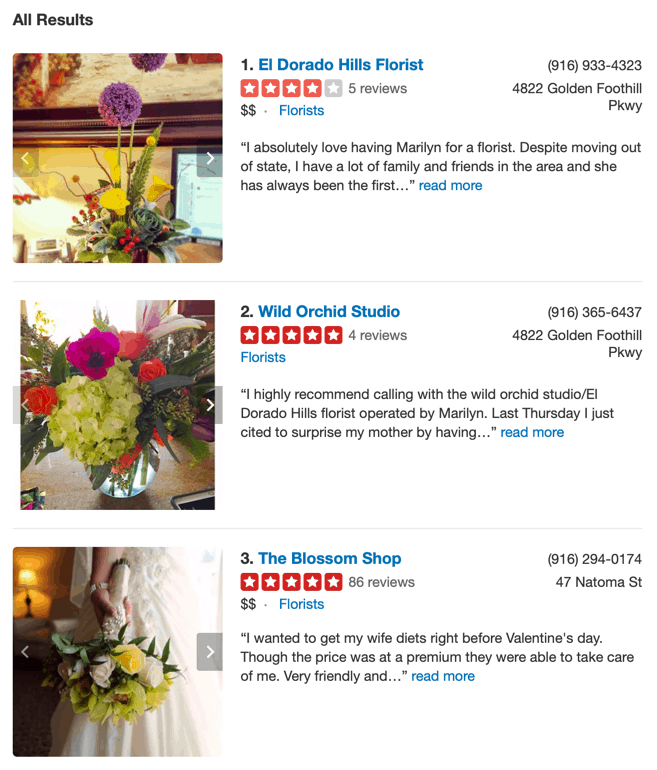 Another top directory that people use for finding local businesses is Yelp. Some love them some hate them but as a business owner, you have to deal with them if you want more customers. Yelp is completely free to create a business page but they do want to sell you advertising really bad. It’s absolutely not necessary and in the early stages of your profile, you shouldn’t eve think about it. Don’t shy away from Yelp even if you’ve heard bad things, though. It doesn’t have to cost you money and it’s a great way to get found by people looking for a florist. Just below the ads on the search page are all the organic top listings of florists. That means people searching for a florist may see this with your business on it. The best part about Yelp is that not all the traffic they get comes from users of Yelp. They dominate many search results in Google for top florists in your area. Just below the organic 3-pack business listings in Google is usually a “TOP florists” or “BEST florists” search results for your area. People are really attracted to those listings so if you can get enough reviews to rank on this list then you’ll get a lot of leads. In fact, more than 40% of clicks on a search page go to these pages. So, get on Yelp right now which our business listings manager can help get you on easier. This one is often forgotten by local businesses but just as important as the top two. Apple Maps gets some of their local business search results from Yelp but not all. You can have better control over how your business shows up by manualy adding informaiton and making sure everything is accurate and consistent with your other listings. When people search for a florist in Apple Maps, you can easily show up for those customers close by looking for a florist. If your business isn’t on Facebook yet then it should be. A lot of people use Facebook and while it’s not the most common option for local businesses, it will still help establish you as a great local florist. It’s completely free to create a Facebook business page and post regularly on it. Don’t waste the opportunity to get in front of more customers. Just like Google, Bing has local businesses in search results. If someone searches for a florist in your area on Bing, you could show up. The local business listings on Bing aren’t quite as prominent as on Google (because of loads of ads) they are still there. You don’t have to worry about getting more review on Bing Places either because the reviews are mostly pulled from Yelp. Bing is another good and free source for local customers, one that you should be taking advantage of. Weddings are a big opportunity for some big jobs. That means WeddingWire is an indispensable website if you’re a florist. You can get a free listing on WeddingWire but you’re not likely to rank high because priority is given to premium members. In other words, you get a boost in the search results if you pay. Whether you want to pay or not it’s essential that you’re at least listed on WeddingWire. Just because you don’t pay doesn’t mean you won’t get any business from here either. 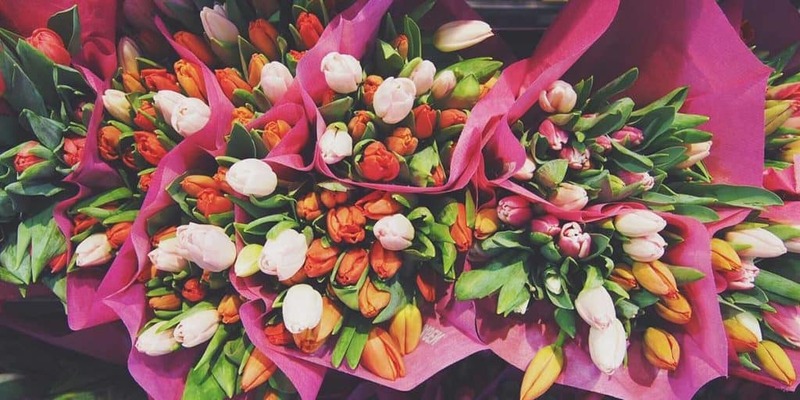 With a few reviews and a complete listing, you’re bound to get some good leads and gain some trust in the local community for those big flower jobs. This is another great option similar to WeddingWire above. It’s a marketplace for people to plan their wedding on and find vendors of all types. The website points those planning a wedding towards local vendors who can fulfill their needs. One of the categories that people are looking for on The Knot is florists! Luckily you can have your place on the site, get reviews, and be found by those soon to be married. That’s not small stuff! While you’re not going to get found on Nextdoor without having some recommendations, your business page is public and indexable by Google. That means you will see some benefit just from having the business page. If you manage to muster up a recommendation or two then that’s even better! Neighbors trust neighbors (even with all the wacky stuff that goes on!) so they definitely trust a neighbors recommendation. You can’t create a fancy business page with lots of pictures but what Nextdoor lacks in customization it makes up for in community trust. I’ve seen business snowball in growth beacuse of Nextdoor. The more places you have business profiles online, the better your ranking will be. Even if you’re not getting direct business from every directory you are getting trust. Search engines look to all directories to find accurate information about your business. That’s why having accurate and consisten business listings is essential to your success online. Our business listings management software makes it possible for you to easily manage it all. That means you’ll be able to update everything everywhere quickly and get back to your business stress free. Well, asside from the stress of running a local florist which has its own challenges.